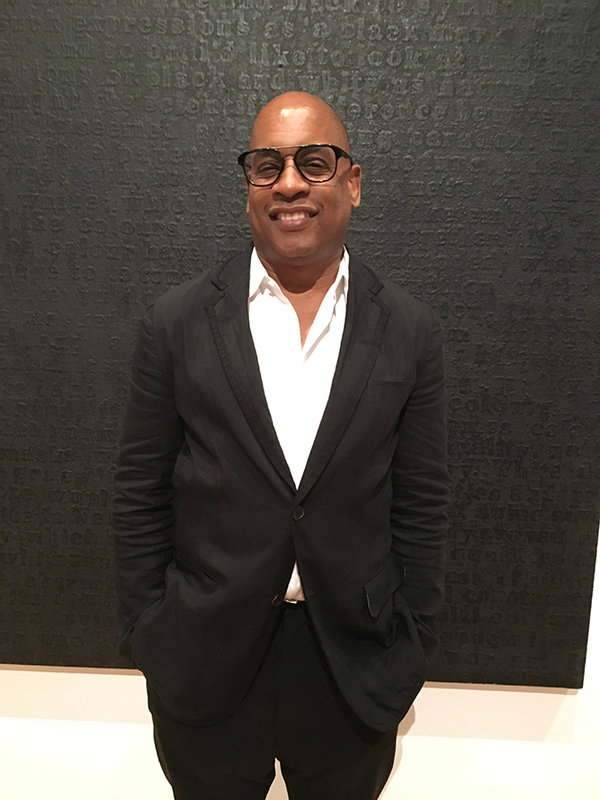 In a program jointly sponsored by the Wadsworth Atheneum Museum of Art and The Amistad Center for Art & Culture, artist Glenn Ligon ’82 joined Dean and Professor of Art History at Northwestern University Huey Copeland for a discussion on Sept. 13 at the Atheneum in Hartford. The two, who noted their longstanding friendship as they began their onstage discussion, explored Ligon’s creative practices and Copeland’s research on the ways African American artists have addressed race in the history of American art. Prior to the conversation, attendees were invited to view the Atheneum’s permanent installation of post-2000 contemporary art in the Hilles Gallery. Ligon’s piece, White #15 (1994, paintstick on linen and wood), is on exhibit there. Ligon had been featured at the Athenaeum in MATRIX 120, the 1992 exhibit in an ongoing and changing series of contemporary art exhibitions, initially funded 1974, with a grant from the National Endowment for the Arts. The conversation between Ligon and Copeland explored Ligon’s work, including the installation, To Disembark (1993), and that of other contemporary artists, including Cameron Rowland ’11—as well as the museums charged with illustrating the history of African Americans, including the National Museum of African American History and Culture—in the context of current events.